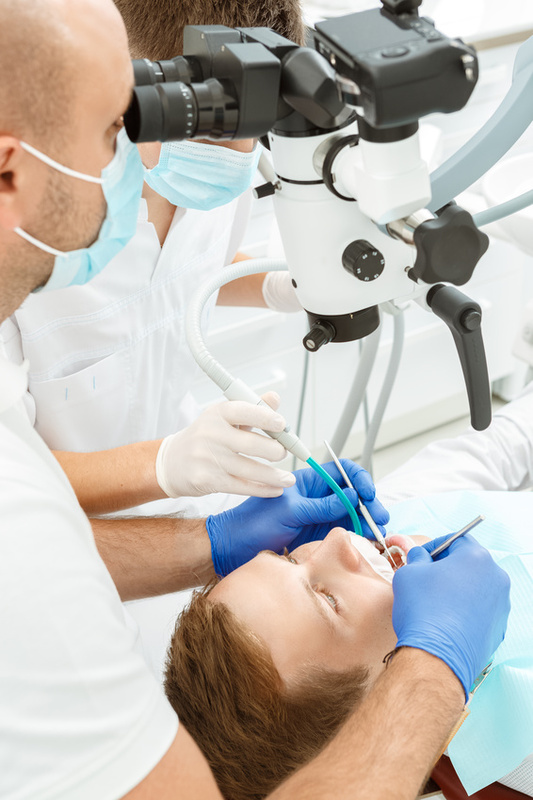 Root canal treatment (endodontics) involves removing dead or inflamed tooth pulp and tightly filling the root canal system with dental material. Root canal treatment is used when the pulp of the tooth (commonly referred to as the nerve) is infected and it is inflamed. Not treating the pulp of the tooth can lead to serious complications, eg. abscess. a bubble appears on the gum near the tooth, from which oil seeps. Thanks to the use of modern tools and methods, root canal treatment gives us the opportunity to save a tooth. Remember that a tooth extraction is an irreversible decision, causing in the future the need to supplement the toothlessness. Why do patients trust us? In order for the Patient to feel comfortable during the procedure, we use an individually selected method of anesthesia, including inhalation sedation (so-called laughing gas). Therefore there is no reason to fear pain or unnecessary stress. During canal treatment, we also rinse the canals which improves the effectiveness of treatment. We use modern canal tools to guarantee 100% treatment effectiveness. The microscopes used in our treatments are world-class optics that allow us to work enlarged to “look” into 4mm diameter ducts! Advanced endodontics also include endometers and radiovisiography as well as precise channel filling techniques. We work with 20-times magnification during root canal treatment! In our offices we use precise observation with the help of modern dental microscopes, thanks to which the accuracy and the effectiveness of treatment are significantly increased. In addition, the microscope enables the treatment of difficult cases where the only solution so far has been to remove the tooth. airtight closure of the tooth cavity, using a light-cured filling (in the case of a small tooth loss) or a crown-root insert along with a prosthetic crown (in the case of a large destruction of the tooth surface). 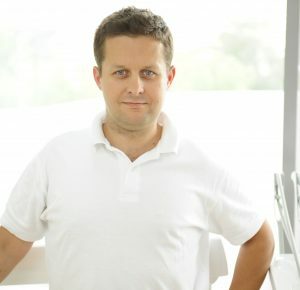 He obtained the diploma of a dentist in 2000, becoming a graduate of the Medical Academy in Bialystok. Since then, he regularly participated in many courses on root canal treatment, which, combined with many years of practice, allowed him to achieve professionalism in this field. Dr Majewski has many years of dental experience in the field of endodontics, deals with the microscopic treatment of complicated endodontic cases, including repeated root canal treatment, removal of broken tools from channels, or development of additional channels. A graduate of the Warsaw Medical University. She deals mainly with root canal treatment under the microscope, conservative and aesthetic dentistry. She constantly extends practical and theoretical knowledge through participation in trainings and conferences in Poland and abroad. The work gives her great satisfaction. Doctor is extremely calm and patient, empathic and committed, which translates into high quality of work and cooperation with the patient. She is interested in travels and cuisines of the world, learns foreign languages for memory improvement. All this helps her with a broader understanding of the world.